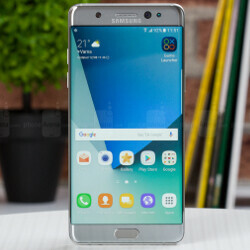 Should Samsung reconsider removable batteries inside flagships after Galaxy Note 7 recall? The issue with the battery inside the Galaxy Note 7 might cost Samsung up to $1 billion, but that could have been avoided if the flagship would have come with a removable battery inside. Samsung ditched removable batteries inside its flagships about two years ago. Samsung Galaxy S5 and the Galaxy Note 4 are the last flagships launched by the South Korean company that did not come with non-removable batteries. Every other model that was launched afterwards, including the Galaxy Note 7, feature batteries that can't be removed by standard means. While we're not here to discuss why Samsung took this decision, we can't help but wonder what things would have looked if the Galaxy Note 7 would have been the exception and had a removable battery inside. Even though $1 billion losses is not much considering Samsung's projected net income for 2016 is somewhere around $20 billion, the damage to the company's image can't be undone. Since Samsung introduced non-removable batteries inside its flagships, many customers have decided to switch brands or even OSes, while others expressed their disappointment for this change. Well, it appears that Samsung's decision came back to haunt it and the cost in resources is not negligible. 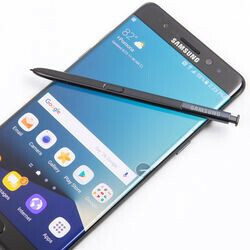 The Galaxy Note 7 might not become the best-selling flagship ever launched by Samsung following the recall since many customers have decided to cancel their pre-orders altogether or ask for full refunds. Not to mention that many will not purchase the Galaxy Note 7 when it's launching in their countries later this month or the next. So, maybe it's time for Samsung to reconsider the addition of removable batteries inside its flagship smartphones. It can't hurt to be able to avoid issues like those affecting the Galaxy Note 7. Noo we don't want removable battery again!! Water resistant is more important than removable battery!! It was also made of plastic, not metal and glass. Maybe the worst flagship. Maybe. But you never used any of their lower end phones. They are bad. S5 was not much of flagship upgrade but it had everything we all need in an outdated shape. Water resistance, bigger battery, expandable memory, and a great camera. 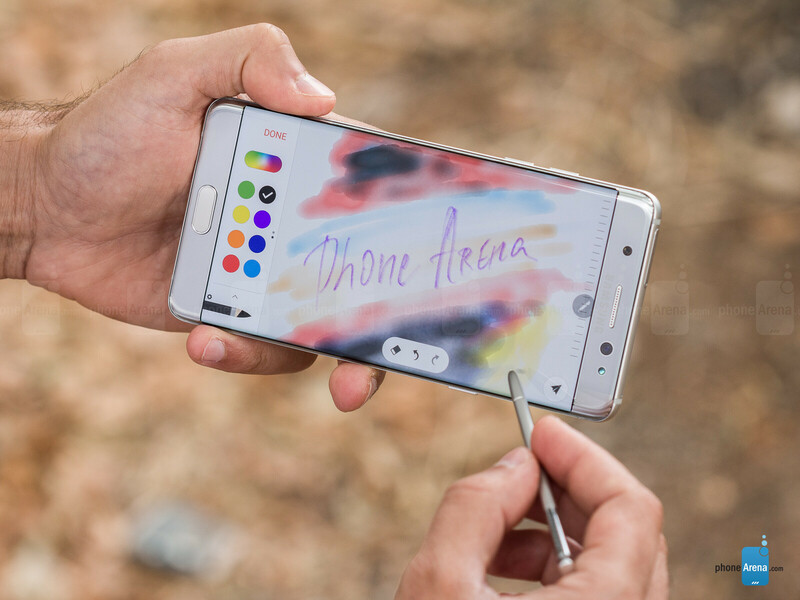 Here's what Samsung needs to do with the Note 8 to win back my business: ● I'm not around water enough to justify waterproofing. I want a removable battery instead, that is the deal breaker. NO REMOVABLE BATTERY = NO SALE!!!! ● Samsung doesn't need to make battery so power dense because they are removable. I'd rather have a (20%) less power dense SAFE 2800mah battery than a too power dense EXPLOSIVE 3500mah battery. Since it's removable, I can easily swap in another 2800mah of juice in matter of seconds. I'll take a total of 5600mah in two SAFE batteries over a single EXPLOSIVE 3500mah any day! ● Improve GPS, add more antennas or whatever, so GPS lock can be much faster. GPS is probably 2nd most used function on the phone second only to the camera. ● 64GB needs to be the base model, up to 256GB. ● IR Blaster is nice, but I only use that 2-3wks out of a year when I'm traveling and want "backdoor" access to hotel and cruise ship TV's. ● MicroSD, which supports the latest, fastest interface and highest capacity cards. ● Don't want dual cameras in the rear. Instead, improve low-light images so they are low noise enough to match DSLR quality. Improve HDR so we can capture the range our eyes see. ● Keep the current resolution, no need for 4K. Not enough VR content to justify it. ● Keep the hardware and capacitive keys. Virtual keys still use up screen space. ● Keep the headphone jack to win over Apple people. ● Dual stereo speakers would be nice, but not a deal breaker. ● USB-C ● Get rid of the curved screen, it's all design gimmick without any practical function. If they want their profits to explode, they would. Their profits are already extremely healthy. Their reputation took a hit after they came under fire. Stop making up excuses for Samsung's poor judgment and QC. No it didn't. That why you trolls will never understand. Every website I read, most people are glad Samsung stepped up and did something right away. They all posted how Apple refused to do the same even with something as simple as TOUCH DISEASE. There will always be losers like you who relish in a company's problems, while at the same time turning a blind eye to your own company's problems. That si what makes you a hypocrite. But facts have shown, company's that step up and do the right thing; actually gain more customers vs how many they may lose. 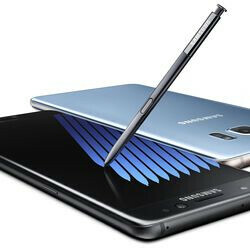 When the Note 7 returns to being sold, people will buy them. It will surely take a pinch from their sales for the first quarter, but everyone who wants their phone replaced will have them this month and those who were already waiting can choose to wait or buy something else. 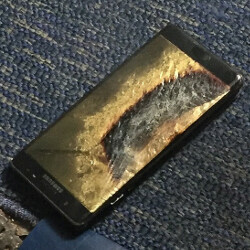 My Note 7 is purring along perfectly. Though I plan to exchange both when I can. But I've had no issues. I trust Samsung who stood up right away, acknowledge problem and did something about it in a manner of hours. Apple on the other hand can't even be trusted to even admit when they are ever wrong and even guys like you. While what you say is completely true, it does not stop the fact that the issue could have been avoided by having done proper testing and not rush a product that was half-baked. That's what's the problem here, no one with a brain cares about apple (only company you could possibly imply) so it's a moot point to even mention it, and no am not an ifan either. "Right away" 2 weeks after official launch isn't the fastest right away either, especially when it could have been avoided. 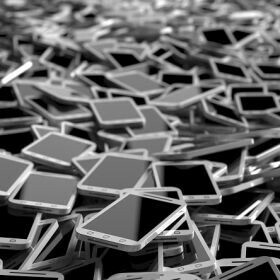 There were only 2 dozen phones out of 2.5 million affected. Samsung got out in front of this early, halted sales, and offered to replace every single phone. Samsung did not blame the user (your holding it wrong, you're using an "unapproved" charging cable, etc), did not downplay the incidents (this only affects a small amount of devices), did not have their loyal fans attack other users or blame the press, and are actually replacing the phones (instead of offering bumpers) without the threat of a class action lawsuit. I also see Samsung fans being adults about this (admitting Samsung has a problem, welcoming the recall), while fans from a certain fruit company have never been "adult" about any of that company's product (iDevices are "perfect" and never have flaws..it's the users fault). My Note 7 was made in China (region without defective batteries). I'm debating whether or not to replace it...with another Note 7. I am extremely pleased with Samsung's response to this. I like it when companies are honest with their customers about product flaws. Too bad it is going to cost close to a billion dollars for this, but thank God I don't have to worry about suing Samsung to get them to do the right thing (unlike with the fruit company). I would love to see removable batteries in Samsung devices again, but not at the expense of water resistance. Before anyone mentions the Galaxy S5, that phone had problems with design/practicality. 35** officially recorded cases world wide but I see your point. Hear, hear. This is not about removable vs. nonremovable batteries. How many billions of sealed phones have been sold in the last 9 years and never needed a recall like this? They're pointing the finger in the wrong place. This is a supply chain/QC issue. It Isn't shoddy build work, but more that they missed a flaw in their design. Which does happen from time to time, few companies are immune to that. Ask Apple, Porsche, Rolex, Ferrari, Guess, Sony, so on and so forth. It happens. In which case they were rushing through development to leapfrog the competition's new phones. And for what? The Note 7 isn't even Samsung's flagship this year, but they're taking a nasty financial and PR hit on this recall. There was no rushing. Just stop. And then, they rebounded by taking swift action and not denying the issue or blaming the user. Their reputation is just fine. ^^ says the representative of the world. Wait and see. At the end of the year, they'll still be the largest smartphone seller by a big margin. No one will care except those who hated them before this. That matters just as much as McDonald's being the #1 burger seller in the world, numbers don't matter, what matters is quality, sure it's good quality for ISIS but not for everyone else. you say some dumb s**t but this: was actually funny. Removable batteries are for the old and dated phones. Just see what happened to the LG G5. Only sad ppl care abt removable batts. All my life when i had phones with removable batteries , not once did i carry a spare. Your trolling is weak and you should feel bad about it. I never carried a spare either, but that's not the only purpose of removable batteries.